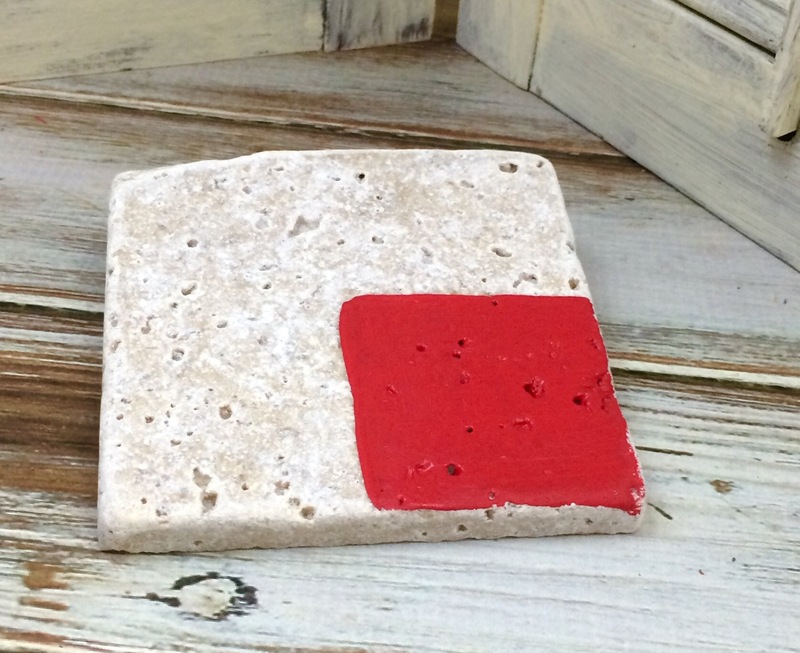 I’ve been wanting to make some tile coasters for quite a while now, I just haven’t decided, what I want to use. 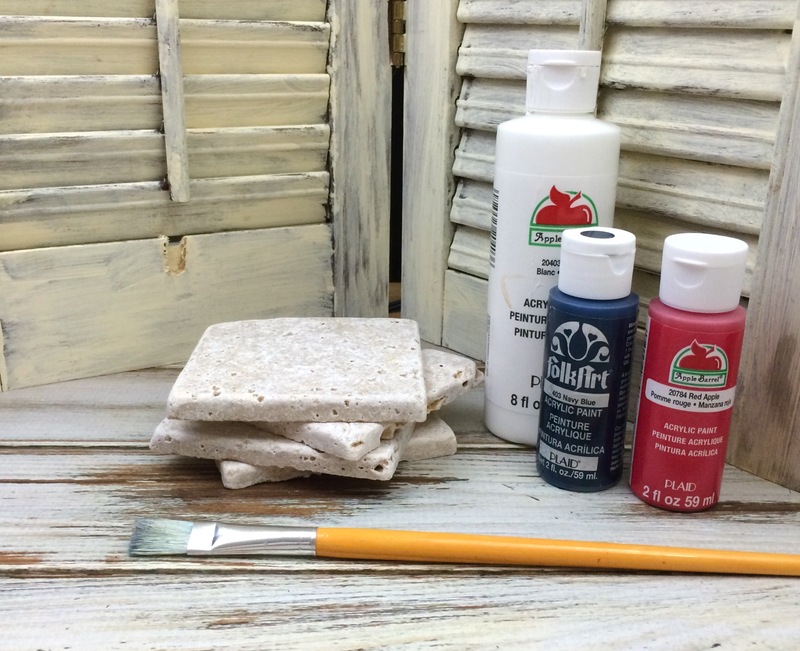 Scrapbook paper, a stamp, or paint something on the tile. Well the hubby buying a huge coffee table for the living room with a big star in the middle decided for me. 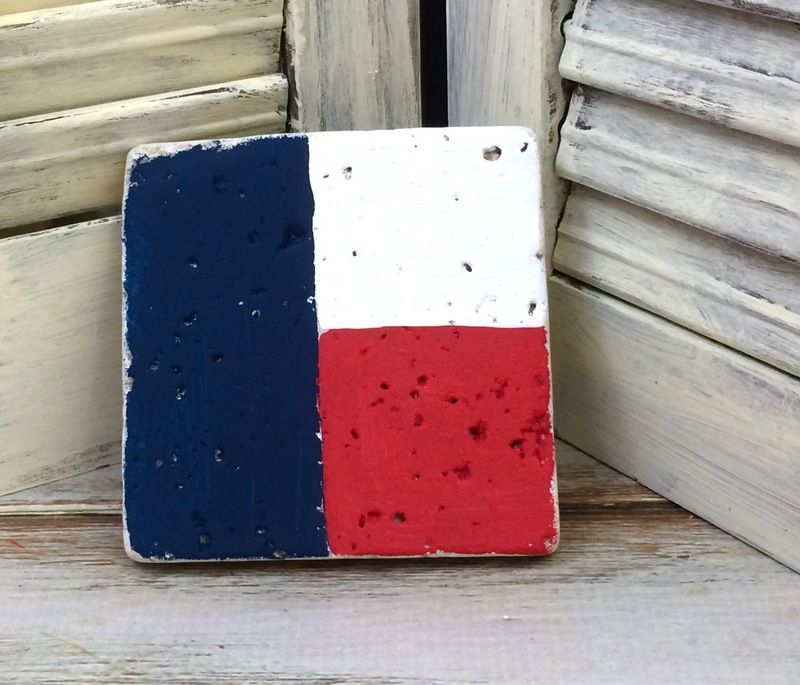 Texas tile coasters would be perfect because it has a star, adds some color, need coasters to set drinks on, and I love painting and decorating with the Texas flag. 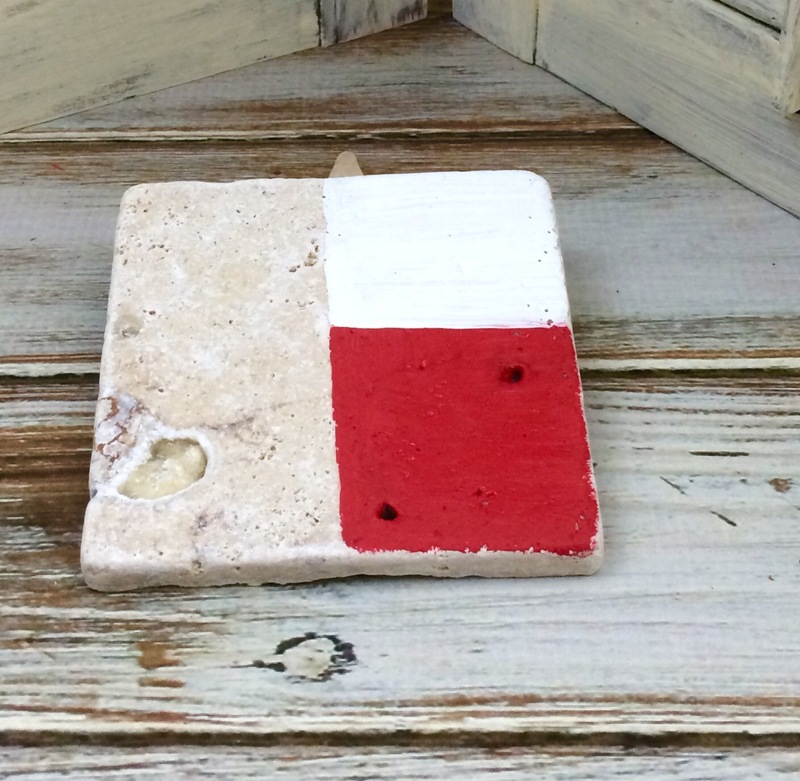 First paint the lower right half of your tile red. Paint the upper right half white. Now paint the whole left half of your tile blue. You can either paint a star, or use a stamp like I did to add my white star. (Coming later How to make a star stamp). 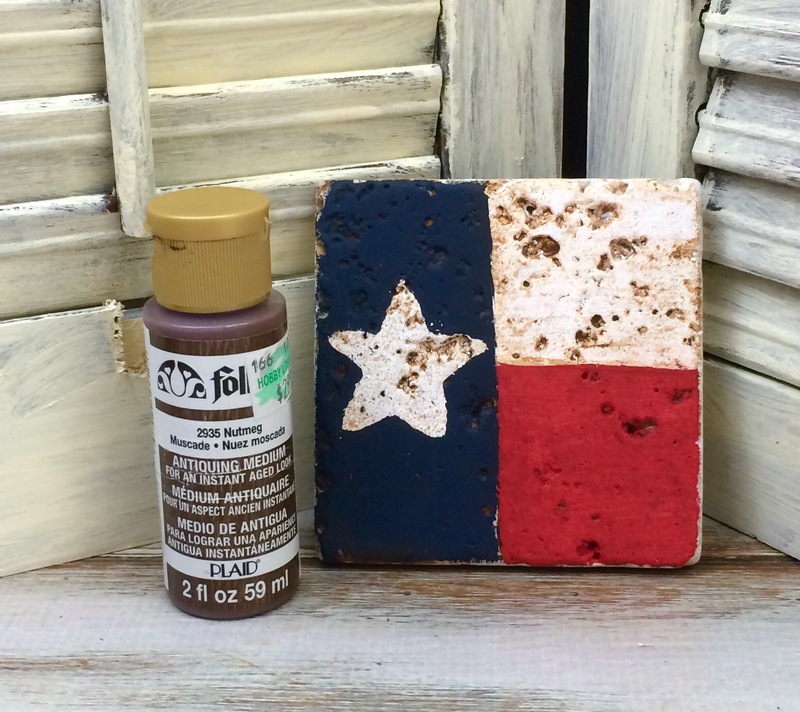 Using a drop of antiquing gel and water, paint over the whole top of your tile coasters getting in the grooves of the tile. Dap excess off with a soft cloth. 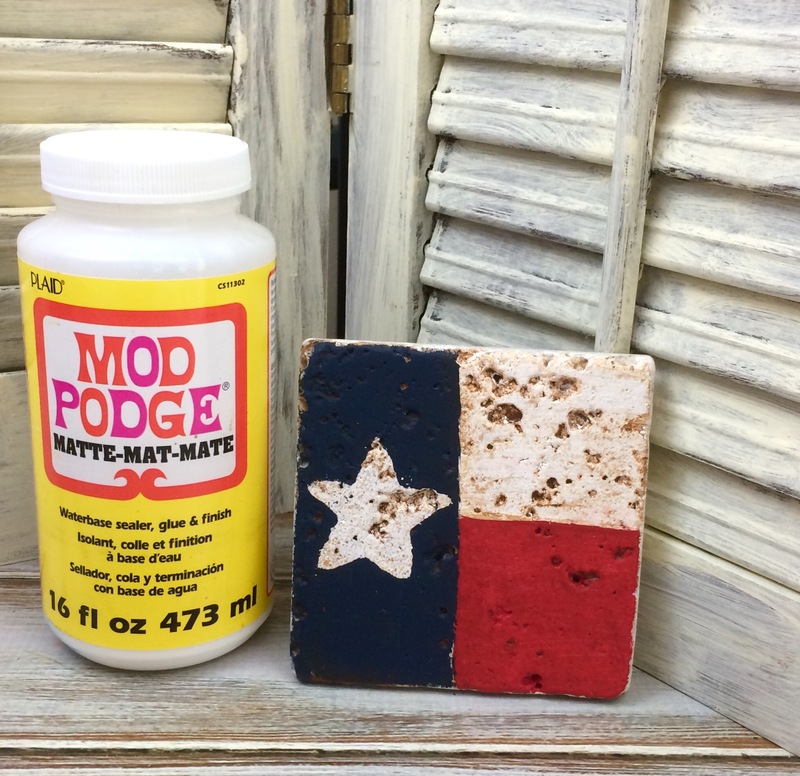 Once throughly dry add a coat of mod podge over the top of your painted tile coasters for protection, getting in the grooves of the tile. 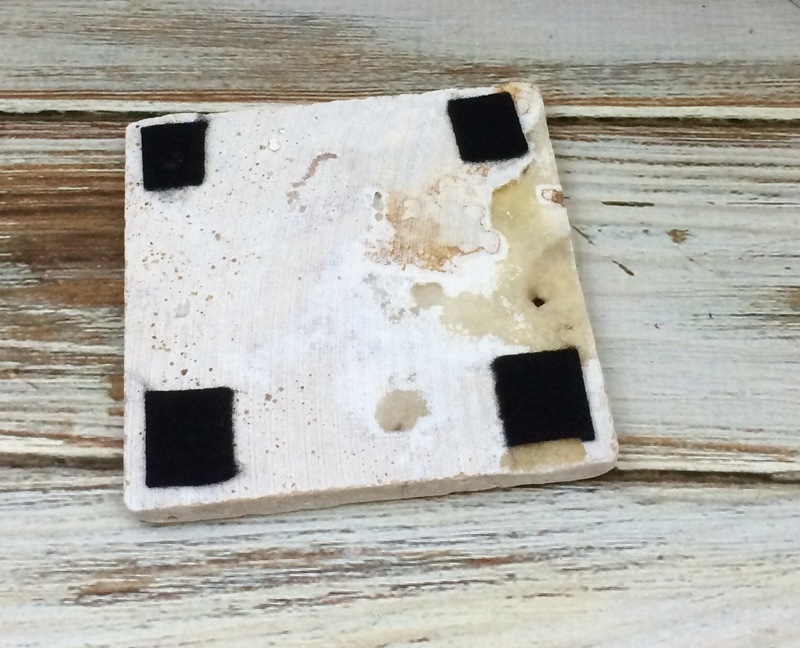 So not to scratch up your furniture flip over your tile coasters once dry. 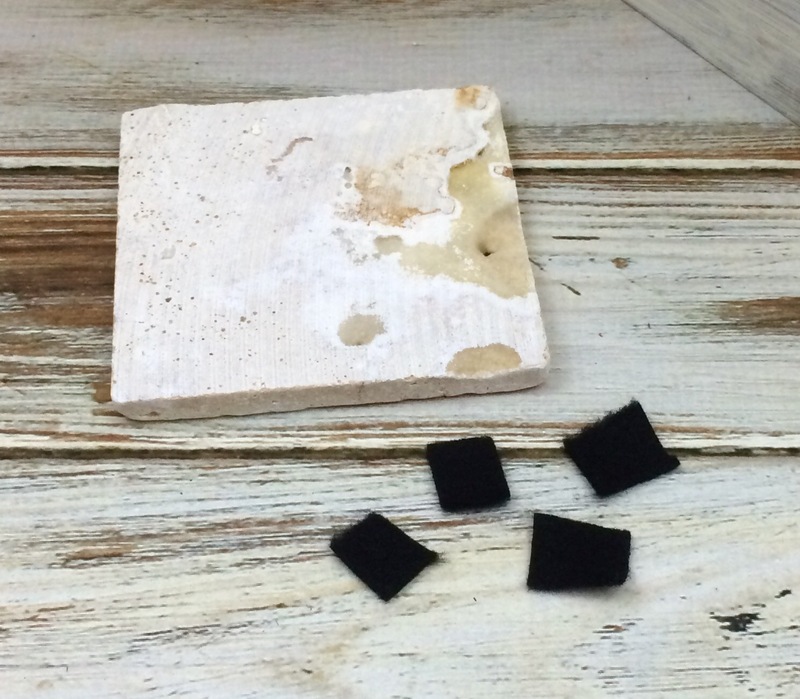 Cut little squares out of felt, and glue to the four corners of your tile. 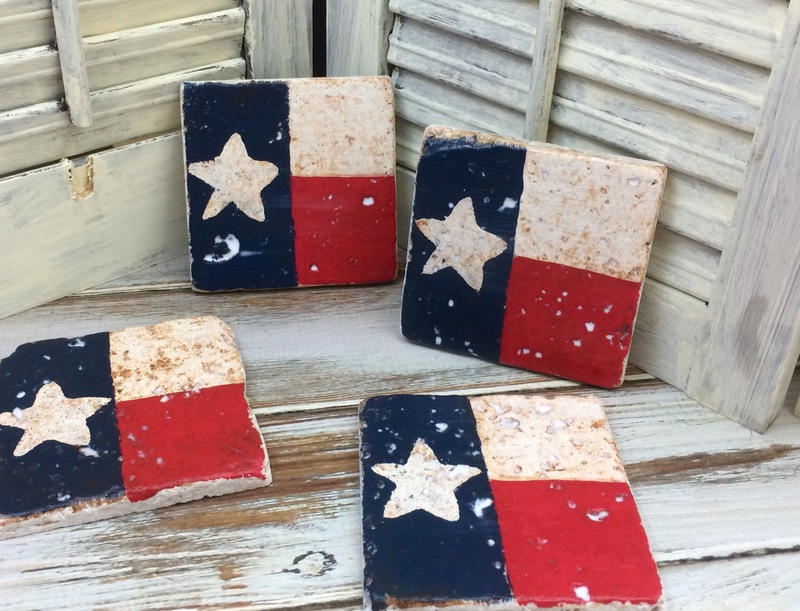 Let dry, then flip back over and your diy Texas tile coasters are ready to be used, and won’t scratch up your table tops. 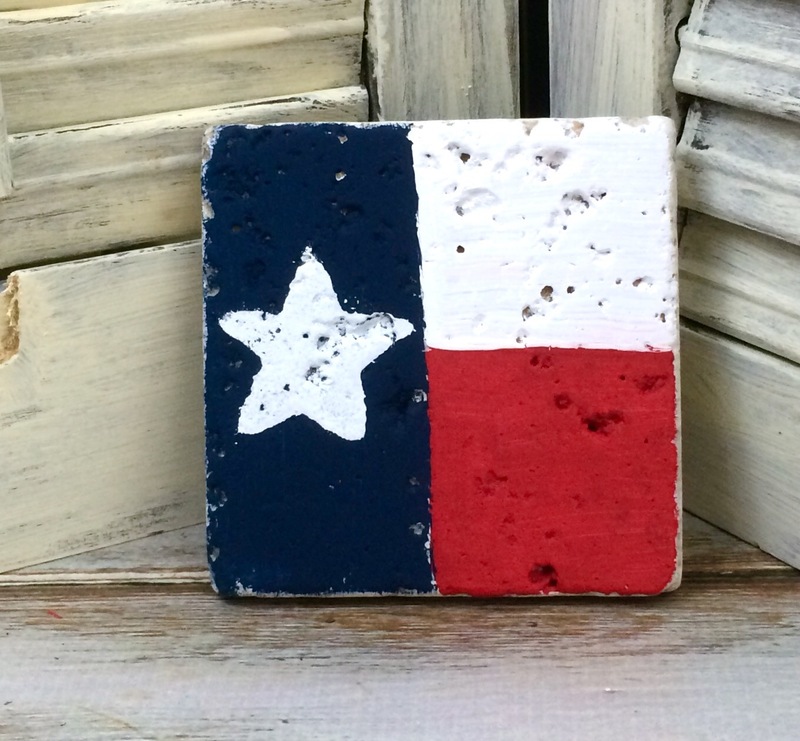 Have you made any tile coasters? If so did you paint, stencil, or use scrapbook paper, or something else? Thanks Chris! Great stuff to give things an aged look. What a lovely craft, they look great! Thanks Kellie! 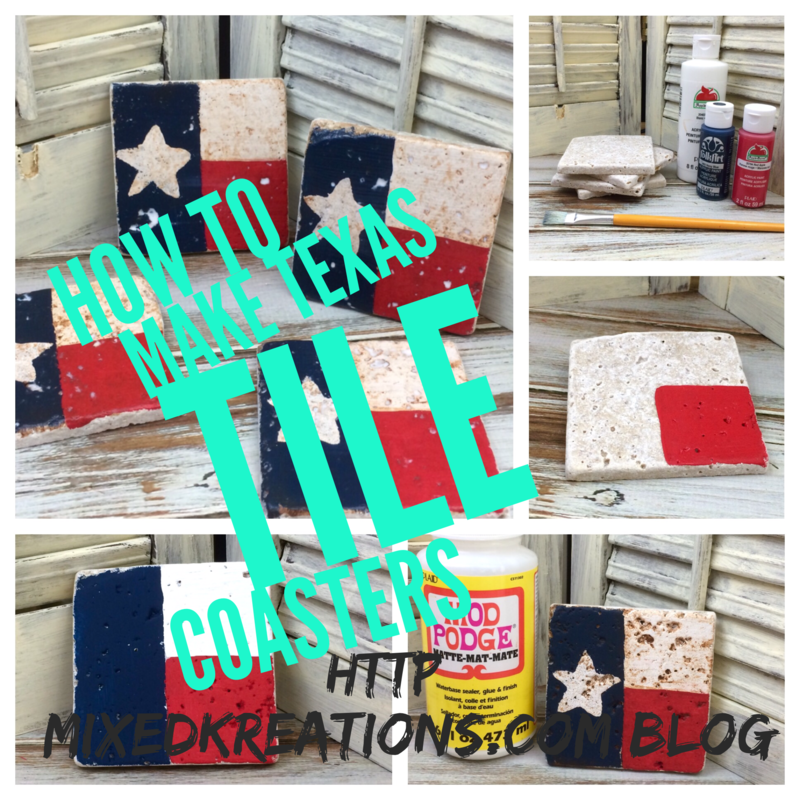 If you need some coasters, these are really easy to make and you can make a set up in no time at all. I wanna see the coasters with your new coffee table! 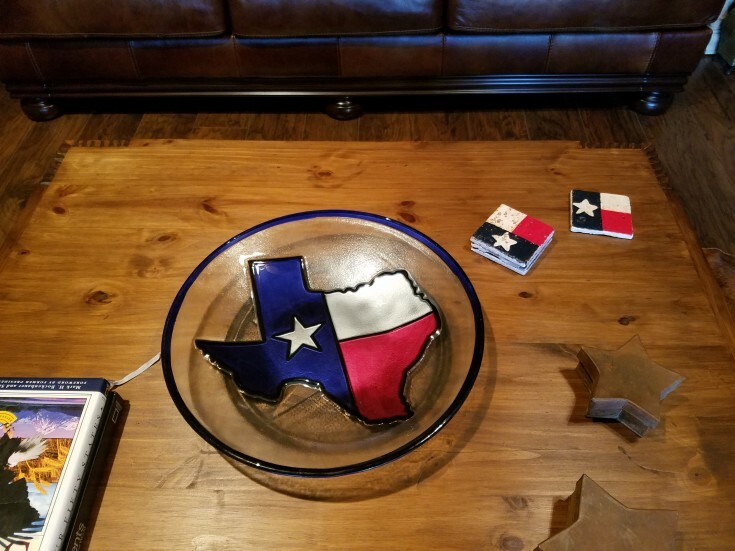 Even non-Texans love everything about the Texas Star! And thanks for the great tutorial. You make it so easy to follow along. Have a great day Linda! Thanks Lynn! They really are so easy to make, and I will try to get a couple pictures added with them on my coffee table. Gosh, these are super cute! I’d love to give them a try and soon! Thank you Carolann! They are super easy. Nice and easy to follow. Thank you. Great job. I have made some using scrapebook paper but never paint. I like. Thanks Pam! I haven’t tried scrapbook paper yet, but I have decoupaged a napkin and stenciled some as well.